Improve your accuracy and productivity when you link your AutoCAD or Revit drawings to your facilities and infrastructure data. Bi-directional synchronized updates to both the Autodesk and ARCHIBUS environments helps not only the facilities personnel but also your construction teams. 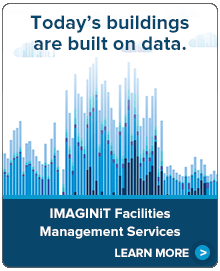 Expand the capabilities of your facilities management system into building information modeling - creating a more complete building lifecycle. Simultaneously update to Autodesk applications and the ARCHIBUS environment, along with visualization - improving accuracy. Expedite the creation of working drawings with a suite of ARCHIBUS architectural drawing and design tools, improving productivity. 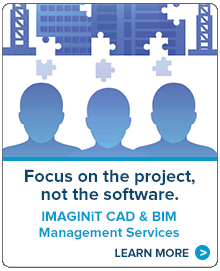 Eliminate inefficiencies by integrating your drawings with your facilities system. The ARCHIBUS Smart Client Extension for AutoCAD and Revit provides that link between rich building information modeling or CAD data to your people, assets and spaces. The result is a complete unified information system that helps you manage facilities and infrastructure. It improves accuracy while leveraging your existing investment in Autodesk tools and available design and construction data.